The tribes in the Pacific Northwest are leaders in climate adaptation and have mounted multifaceted responses to the threats they face. The village of Taholah on the Quinault Indian Nation is just a stone’s throw from a pebbled stretch of beach pocked with the tiny holes of razor clams. The town is wedged between Washington state’s rocky Pacific coastline and a hillside of towering cedar and Douglas fir evergreens. It’s been the home of the Quinault peoples for 12,000 years. And for the last 50-odd years, the home of tribal member Larry Ralston. Pacific Northwest tribes like the Quinault are already experiencing the effects of climate change, and they’re already adapting. A new collection of scientific resources developed through a collaboration with the University of Washington is helping Northwest tribes plan and prepare for the impacts of climate change. 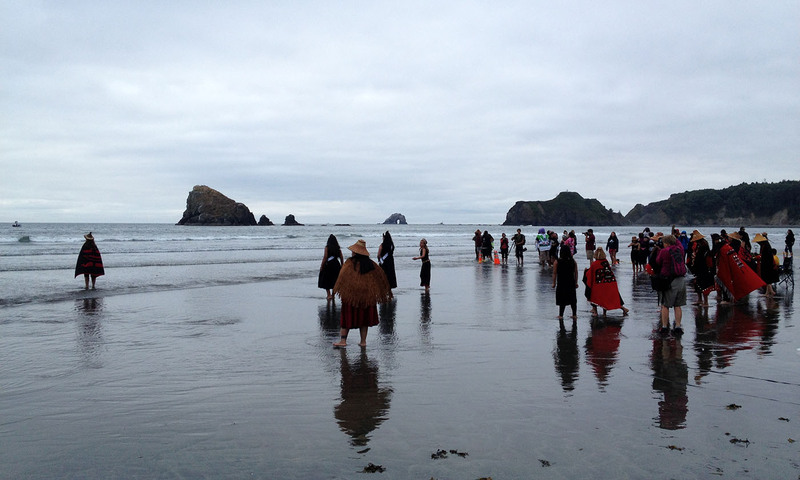 Quinault people speak of “clam hunger,” a physical, emotional, and spiritual craving that connects them to their ecosystem, their ancestors, their very existence. Clam hunger can drive people to eat this food despite scientists and resource managers telling them that toxins render it unsafe, researcher Kate Crosman told the Encyclopedia of Puget Sound. Crosman studies the effects of climate change on coastal communities. Even before the ocean started to rise, other effects of climate change began harming clam populations. Over the past several years, hypoxia, related to climate change and ocean acidification, has killed thousands of shellfish on Quinault beaches.